Spore collecting and cleaning is easy and rewarding, but, if you are trying it for the first time, the following guidelines should put you on the right track. 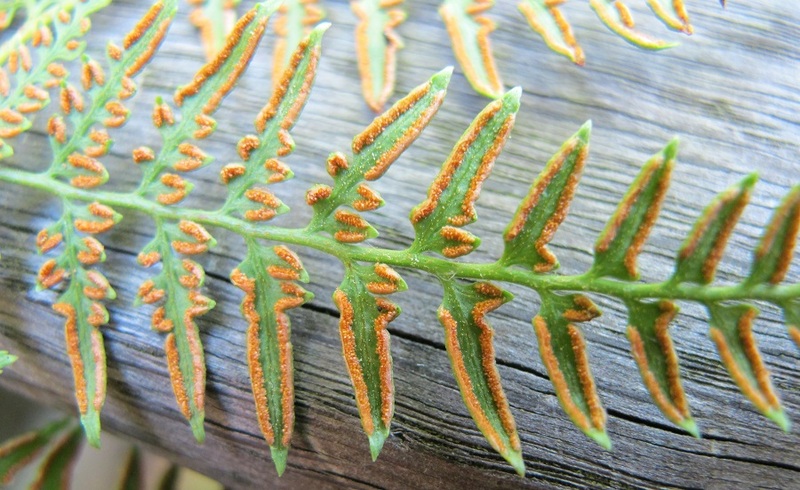 Spores are produced in structures called sporangia which are generally underneath the frond. 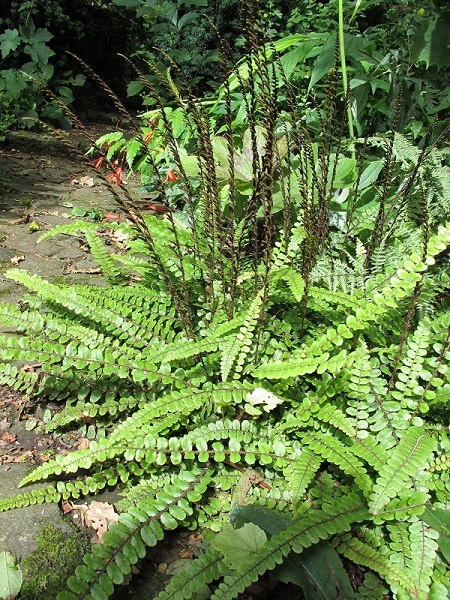 These will not be on all fronds – try turning some over in summer to see what you can find. They are easily visible with the naked eye, but their detailed structure is revealed by the use of a simple x10 hand lens. 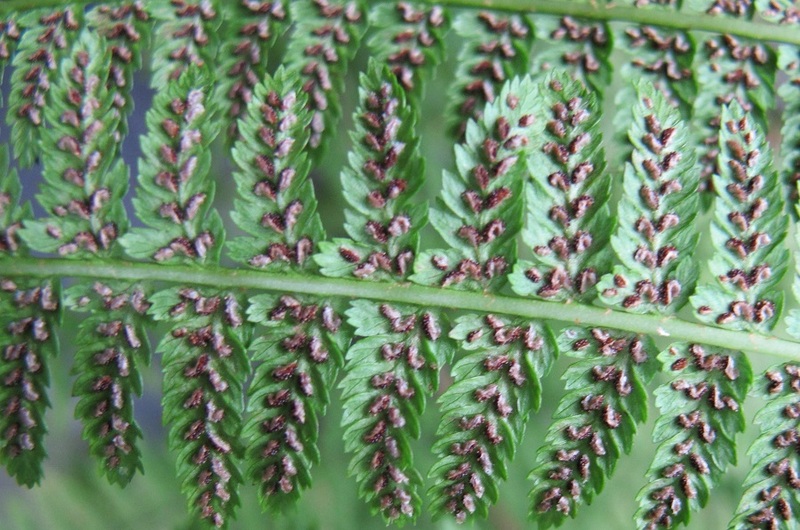 Some ferns produce their sporangia in totally different, fertile fronds which are often a striking part of the ferns appearance. Deciding when the spores are ready for collection requires some patience and a bit of practice. Initially, the sporangia will be filled with very pale, unripe spores which may be covered with a cloak of indusium. After a few weeks the spores will darken and eventually the sporangia will burst, releasing the ripe spores. 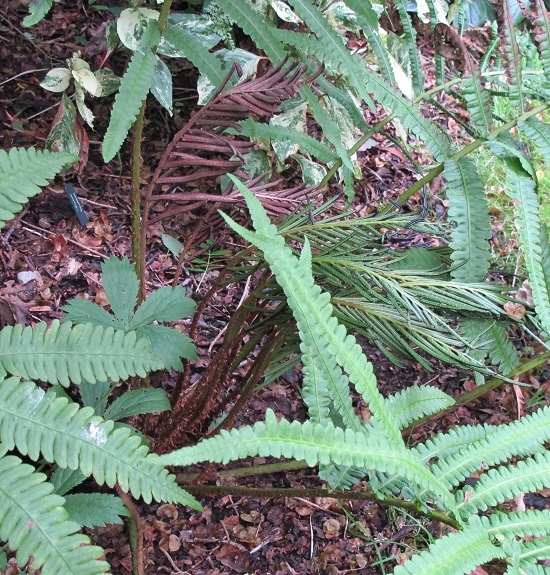 The frond will then be left with just shaggy brown burst sporangia and it will be too late to collect. You can get help on following this process and finding the optimum time to collect here. When you think the time is right, simply pick off a fertile frond, or (if the frond is large) a single fertile pinnule. Place this in a paper envelope, label it and leave in a warm, dry place. Within a few days (if the timing of collection is right) you should have spores released onto the paper. You can find details of how to make suitable collection envelopes here. It’s best to use a cheap unglazed paper to facilitate subsequent cleaning of the spores and, in order to see them more easily, to use a side of the paper not previously printed. Obviously it goes without saying that you need a clean sheet each time! 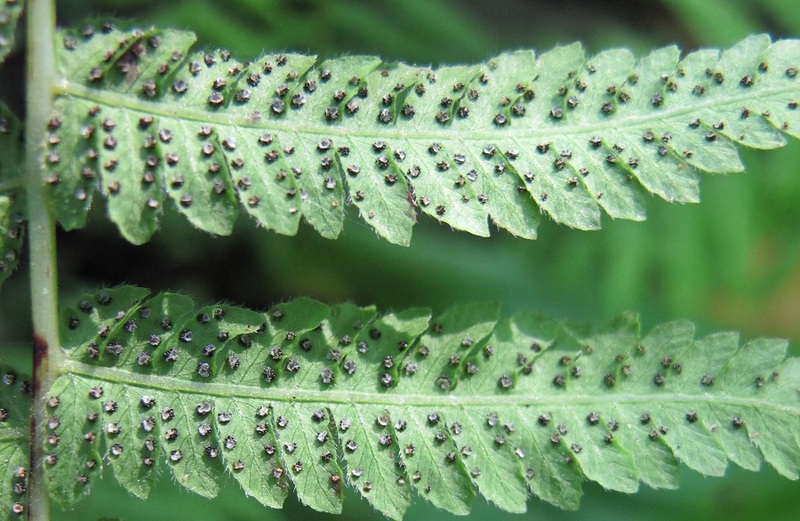 You can send spores to us simply as fertile fronds in a suitable paper envelope. However, it is helpful to us if they are cleaned, and additionally you will be able to see that you have indeed collected some spores and how many which can be useful in improving your collecting skills. There are several ways to clean spores, but we will describe the one we use which is simple, easy and requires little specialist equipment. You can find details of it here. How do I package them? Cleaned spores may be packaged in paper envelopes or tinfoil packets. Make sure each envelope is labelled with the spores it contains. For paper envelopes, you can write direct on them but tinfoil ones are best with a small adhesive label. Spores are sticky little blighters, so if the paper is very porous they may adhere to it and be very difficult to remove. So, for final packaging, the higher the quality of paper the better. Using tinfoil for cleaned spores usually gives a very good, well-sealed package and is ideal if the quantities are not too large. While sealing any edges with tape may seem like a good idea to stop leaks, it will also tend to pick up a lot of the spores when the package is opened. This is particularly frustrating if there are not a lot of spores in the package to start with. If you fear your package is leaking, it may be best to split it into several, smaller packages rather than seal the edges. If you have any other questions or queries, please email us. We are always willing to give any advice or feedback we can – we are here to help.